A reduction in the hull modulus re- quirements for oil tankers and for ships intended for the carriage of ore or other heavy cargoes has been agreed. The strength standards' as applied to ordinary cargoships may be used, provided that specific care is exercised to ensure that panel stability against buckling is main- tained at a satisfactory level. 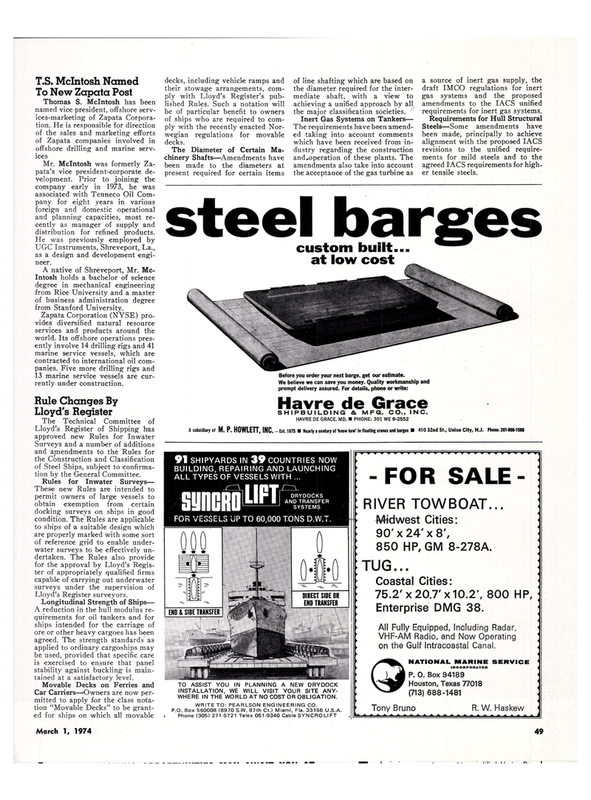 SHIPBUILDING & MFG. CO., INC.